Okay so let me start out by saying how ridiculously excited I am that So You Think You Can Dance is back!!! I am so beyond obsessed with the show not just because of its amazing dancers and the routines that evoke more emotion that the most eloquent poem, but also because the show always introduces me to my favorite music. The first official live show did not disappoint. The first small group dance and song was easily my favorite from the episode. Hello lover! Uhh, aren’t you just dying? It totally gives me chills!!!! Now don’t get me wrong, Rihanna can sing, but Jessie J took this song to a whole new level for me. Acoustic covers do this to me a lot. Something about being raw with just a guitar (and maybe a piano and a maraca) is just music to my ears (pun intended)! Anyhoo… Is anyone else out there in blog land totally obsessed with SYTYCD? Who do you think will be America’s favorite male and female dancers this year? They are just too good for me to make up my mind just yet, but I can’t wait to watch the season unfold. Check out everything SYTYCD here and be sure to tune in a week from Wednesday (they are taking the 4th off) to have your socks rocked! Oh oh oh, I almost forgot, National Dance Day is July 28th! Learn the routines here and dance dance dance! Last year in Downtown Phoenix there was a flash mob! Search the web for what’s going on in your area! Too much fun not to join in! I love SYTYCD! My boyfriend and I watch it every week. Not sure who my favorite will be just yet, but I'm excited to watch it unfold! Hi there! I'm Tiffany and I found you through Whispering Sweet Nothings. Your blog looks great, and I'm your newest follower! 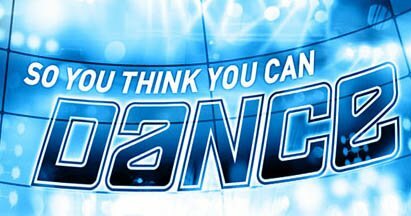 😀 I just LOVE So You Think You Can Dance, being a former dancer myself. What do you think of the top twenty this season? WAIT!!! You live in Scottsdale!?!?!?!?!?!?! I had no idea there was a National Dance Day! Love it!! I used to dance when I was younger and I really miss it sometimes! ah my god, I am soo glad you shared that jessie j song! i have a love for her no one understands and that was amazing!!!! AH! super cute blog by the way, ill def be back!